Imagine the chief executive officer of a publicly-traded corporation bashing his best employees in a New Yorker article. Well, that's exactly what Mets owner Fred Wilpon just did. The beleaguered owner of the beleaguered franchise told a reporter that Jose Reyes won't receive a grade A contract when his current one expires at the end of the year. He said rightfielder Carlos Beltran is only 60 percent the player he once was and called David Wright 'a good player, but not a superstar.' He also said some nasty things about first baseman Ike Davis. When asked if the Mets were snakebitten, Wilpon mimed Beltran's check swing that ended the 2006 National League Championship Series and the team's chance at a World Series. 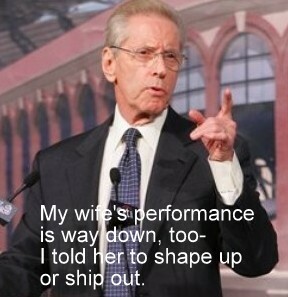 In short, Wilpon totally bashed his own players and team. Could you imagine a Fred Smith, Jeff Immelt or Mark Zuckerberg doing something similar? Actually, I COULD see Zuckerberg doing it. And, Steve Jobs was notorious for beating up his employees, but never in public. The Mets are a complete train wreck, with a 'conductor' who doesn't believe in his talent. It's time for Wilpon to sell and a new owner to take over. It's tough enough to motivate a cast of characters who ARE overpaid and who DO underperform. 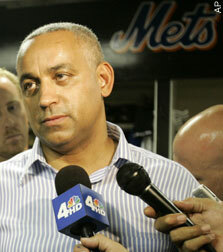 I actually agree with everything Wilpon said about Reyes, Wright and Beltran. But, I'd never, ever say it on the record. That said, have I told you my feelings about Ed lately? A tip o' Repman's batting helmet to Chris 'Repman, Jr.' Cody for suggesting this post. A Tip o' RepMan's cap to Sir Edward Moed for this idea. Forget about four years of undergraduate study at Syracuse, Northeastern or The College of Charleston. And, don't stress about landing world-class internships at say, Ketchum, Coyne or Airfoil. 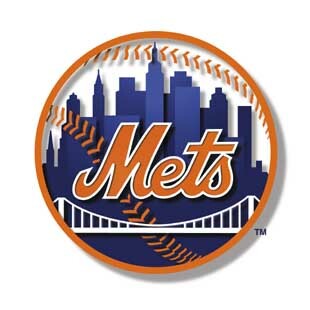 If you really want to succeed at public relations, just adopt the New York Mets and Jets as your teams of choice. 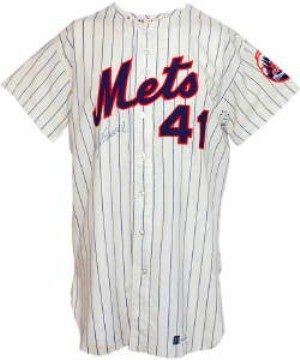 Here's why: rooting for the Mets and Jets perfectly parallels a career in PR. 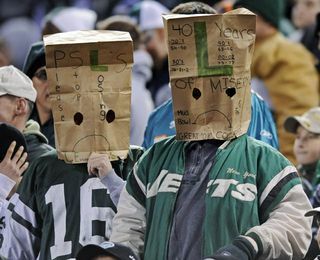 Both the Mets and Jets were built to disappoint their fans. Cheering for them toughens one up, opens one's mind to the harsh realities of the world in which we live and teaches one to bounce back from the most devastating of failures. Think about it. PR is rife with ups and downs. And, like the 1969 World Series and Super Bowl victories by the Mets and Jets, respectively, the highs in PR can rival a long hit of crystal meth (that's anecdotal evidence, BTW). But, the unexplained client firings, the unwarranted editorial 'thumbs down' from PR Week's Keith O'Brian in 2006 and the countless serial prospects who pick your mind clean of ideas and then leave you hanging, can transform a Charlie Chuckle to a Debbie Downer in a heartbeat. And, those heartbreaks beautifully mirror the average Mets and Jets' seasons. Rooting for the Mets and Jets is superb training for PR. I do not exaggerate when I say the resiliency that comes along with being a long-suffering Mets/Jets fan has made me a better public relations executive. I'm able to maintain a steady keel when others tend to panic. I treat small wins for what they are and don't allow myself to hop on the roller coaster ride that is the average day, week, month or year in PR. I thank the Mets and Jets for toughening me up. That thick skin has served me well for years of 100 percent growth and 20 percent decline. It's also made me increasingly philosophical as I watched an over-achieving 2010 Mets team peak this past June before plummeting in July. And, it's been an invaluable asset as I've winced in pain as the once high-riding, trash-talking 2010 Jets have crash landed in a particularly ugly way. 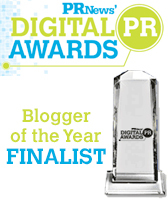 So, do you want to succeed in PR? Switch your team allegiances now. You'll hate the decades of losing, but you'll thank me one day for the lessons in stoicism you've learned along the way. 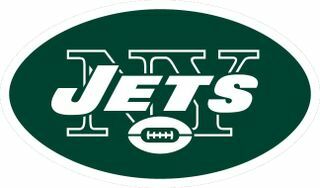 Do I want my ashes placed in an urn with a Mets or Jets logo? made by licensing in such sports as baseball and football. 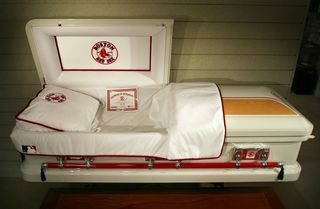 For a mere $4,000, one can now choose to spend eternity in a casket emblazoned with his favorite team's logo. Logo-adorned urns, which would be my vessel of choice for traveling to the after world, cost a mere $799. Licensing is a big business for sports leagues. (Note: in the interests of transparency, I should report that Peppercom is one of the few, if not only, PR firms with its own licensing division.) According to The Licensing Letter, Major League Baseball alone will rake in $2.75 billion in sales of licensed goods this year. That enough to fill an awful lot of cemeteries. – Freeman McNeil sweat pants for mourners who will be spending the weekend at my wake and funeral. Why not provide some branded casual wear for their use during downtime? – How about having the priest wearing throwback New York Titans vestments? Now, that would be cool. – I'd like Matt Snell and Emerson Boozer to be available to comfort my immediate family. – Last, but not least, I'd like my green and white urn to contain the signatures of every player from the Super Bowl-winning 1968-69 Jets, including Ridgefield Park's very own Hatch Rosedahl. Licensing types need to think large. Besides paying taxes, death is the only thing we can count on. So, why limit the afterlife merchandise to caskets and urns? The sky's the limit. Actually, since we're talking about eternity, even the sky isn't the limit. I'd be open to any and all licensing suggestions: how about a green-and-white hearse emblazoned with Joe Willie's “We'll win. I guarantee it” Super Bowl III boast. Or, maybe a reunion of the fabled Sack Exchange? They could tackle someone from my life who caused me grief (i.e. a particularly heinous client or former employer, etc.). How about a grave dug to resemble the exact proportions of the new Jets-Giants Meadowlands stadium? I don't know about you, but I'd want to be laid to rest right on 50-yard-line. No nose bleed seats for this cadaver. Put me in charge of afterlife licensing for major league sports and I'll make that $2.75 billion figure seem like chump change. Minaya is thrown out for impersonating a general manager. arch rivals like the Phillies and Yankees enrichen their respective staffs. Wright instead of trading one or all for some real major leaguers. my fellow 6,852 disenchanted brethren and boycott the ballpark. believing again when a new general manager takes the helm. With the Major League Baseball season once again about to begin, hope springs eternal for fans throughout the land. That is, of course, with the exception of Mets fans. 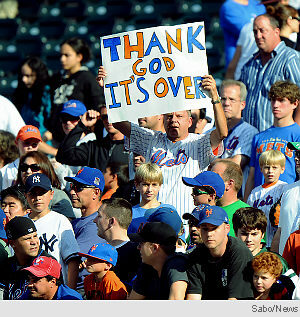 The last four years in particular have been a holocaust for Mets fans. First, there was the epic, record-breaking total collapse at the end of the 2007 season. That, in turn, was followed by another crushing, if not epoch-making collapse in 2008. Then, there was last season's impressive 70-92 campaign that was chalked up to bad luck (lots of key players had suffered injuries). The truth about this particular assortment of Metropolitans is that they're a bunch of brittle, underachievers who sport a mediocre offense and defense, abysmal pitching and zero esprit de corps. But, as is the case in business, the fault lies not with the players, but with management. 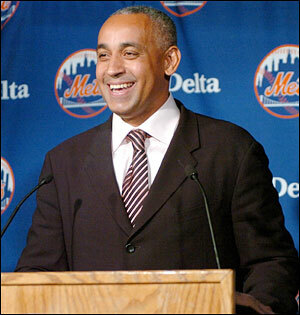 Omar Minaya is a terrible general manager. He's not only built a dysfunctional organization but, as it reels from one crisis to the next, he acts just like a classic CEO in denial (think: Ken Lay, Dennis Kozlowski, Pope Benedict XVI). With Minaya, it's always someone else's fault. Or, he goes with the Bernie Ebbers 'Gee, I didn't know about that at the time' defense. Spring Training has been a horror show for the Mets. The always-injured Jose Reyes was felled by some sort of mysterious disease. Carlos Beltran elected to have surgery that will keep him out until June. Daniel Murphy just injured a leg that will cost him two to six weeks. And, the pitching staff, which Minaya refused to improve with off-season acquisitions, has had the stuffing beaten out of it in Florida. Minaya's ever optimistic, though. As is his lackey, Manager Jerry Manuel. They both 'like what they see' whenever reporters ask about the latest Spring Training debacle. Both must be sight impaired. Yes, Mets fans, this is the spring of our discontent. We have little to look forward to except, perhaps, the ultimate demise of Messrs Minaya and Manuel. Until the front office cleans house, the Mets will continue to be the laughing stock of New York, if not the entire nation. 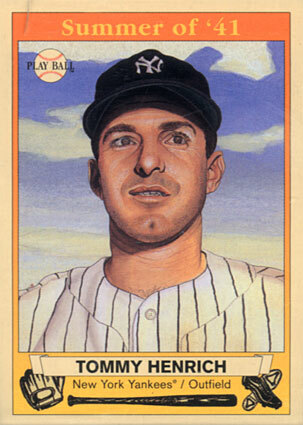 The late New York Yankees star Tommy Henrich was known as 'old reliable' for his uncanny ability to deliver clutch hits at critical moments. – Take New Jersey Transit's 7:31am 'express' to the city. Please! But, I think 'old reliable' is even more evocative since it captures the certainty of massive, ongoing delays. – The corporate communications executive who insists a $5,000 sales promotion is not only newsworthy, but should be jammed into the lead sentence of a bylined article on thought leadership. This member of the old reliable club exists in many PR departments and can be counted on to do what the sales and business leaders tell him rather than what smart, strategic communications would dictate. – The Mets and Jets. Each teases fans with occasional flashes of brilliance but each always disappoints in the end. Old reliables, both. – Politicians of all stripes. If there's one thing that's become crystal clear over the past few years, it's this: we can count on the politicians to fiddle while Rome burns. Old reliables, each and every one. – The technology in ANY new business presentation. Whether it's the laptop, the flash drive, the projector, the video conference or the telephone, something technical will always go wrong in any important new business pitch. Period. I'm not sure how or why this always happens, but it always does. So, let's add technology snafus to the old reliable list. These are my old reliables. What are yours? 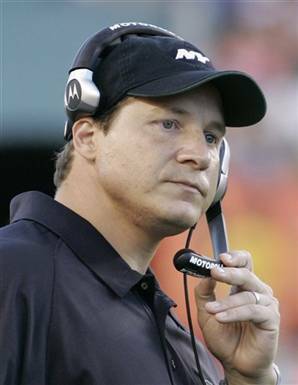 Mangini was the latest in a long line of mediocre and just plain bad football, baseball and basketball managers and coaches who, inexplicably, keep landing new, higher paying jobs despite a history of failure. I went on to suggest such a thing simply wouldn't happen in business industry. When CEOs fail, they rarely turn up at the top of another firm; instead, they usually start their own hedge fund or venture capital firm with the cash from their severance packages. Not so with pro football. Take a gander at this season and the performance of Mangini and his Browns. They're 1-6 after being drubbed on Sunday by the Packers, 31-3. And, what was Mangini's comment after the game? 'I thought we were making progress in a lot of areas.' My comment? He's delusional. Could you imagine a CEO saying something similar to Wall Street analysts after a disastrous quarterly earnings report? Mangini made the same sort of absurd comments as the Jets lost game after game at the end of last season. He was always pointing to progress on one side of the football while the team was collapsing on the other. Mangini reminds me of former Mets Manager Willie Randolph who, during the team's historic collapse at the end of 2007 season, kept pointing to the positives: 'We saw some great pitching tonight. All we needed were some clutch hits,' or 'The guys were hitting the cover off the ball. We just need more consistency from our bullpen,' or my personal favorite: 'These losses will make winning the division and sipping the champagne just that much sweeter.' Needless to say, the Mets never did win the division and any champagne that was consumed was probably washed down with scotch, vodka or some other sedative to ease the pain. I'd like to see accountability come to the coaching ranks. If a guy has a proven record of losing, ditch him. Blacklist him. Suggest he become a media trainer. Send him packing. But do not do what the Cleveland Browns and countless other franchises have done with the likes of Mangini over the years. Do not recycle losers. Mets General Manager Omar Minaya keeps telling fans the club's fortunes will improve once the 'good guys' return to the line-up. The good guys include such injured regulars as Jose Reyes, Carlos Beltran, Oliver Perez and Carlos Delgado. In the meantime, a ragtag bunch of minor leaguers impersonating as major leaguers have been playing. And, the word playing doesn't really do it justice. They haven't even been showing up. The team's record has nosedived as a squad once picked to contend for the pennant now finds itself vying with the hapless Washington Nationals for sole possession of the National League East's cellar. Getting back to Minaya, his logic is flawed because the good guys won't make one iota of difference once they do suit up. Oh, they'll post some respectable offensive numbers and they'll go through the motions on the field, but Minaya has built a squad of individuals, not a team. They choked badly in two successive seasons, losing out to a less talented, but more motivated bunch of Phillies. And, they lack the intestinal fortitude needed to turn around this sorry excuse of a year. Minaya and his current, rotten crop of Metsies need to be handed a one-way Metro card fare on the number 7 train heading west. It's time to blow up the model and, once again, start from scratch. Anything would be better than watching what purports to be a major league team botch yet another game.